If you love your morning swim outdoors but the water is just too cold - we have the ideal solution for you: the Sailfish Pacific neoprene shorty women. With its 0.5 mm Smooth Skin neoprene, the shorty torso and lower body keeps you from undercooling even during extended swim sessions. The Ergo Fit cut design not only ensures a perfect fit, maximum flexibility and outstanding comfort, but also guarantees a great water feel. Feel free to swim outdoors - without worrying about the water temperature. The Sailfish Neoprene swim gloves are made for the real fanatics who want to enter the cold water when spring has only just begun. The thick gloves provide maximum protection for your hands against the cold and the extra long sleeve ensures that no water can enter. 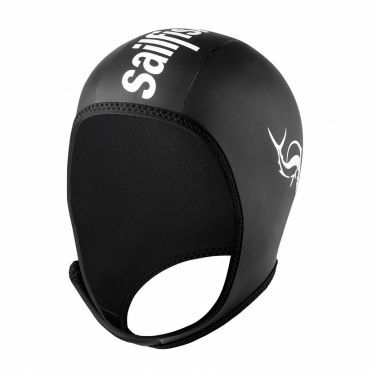 The Sailfish Adjustable Neoprene swim cap adjustable by sailfish offers best protection in cold water, thanks to the 2 mm neoprene material. A velcro allows you to individually adjusted the chin strap in width with a flick of the wrist. If you love your morning swim outdoors but the water is just too cold - we have the ideal solution for you: the Sailfish Pacific neoprene shorty men. With its 0.5 mm Smooth Skin neoprene, the shorty torso and lower body keeps you from undercooling even during extended swim sessions. The Ergo Fit cut design not only ensures a perfect fit, maximum flexibility and outstanding comfort, but also guarantees a great water feel. Feel free to swim outdoors - without worrying about the water temperature. 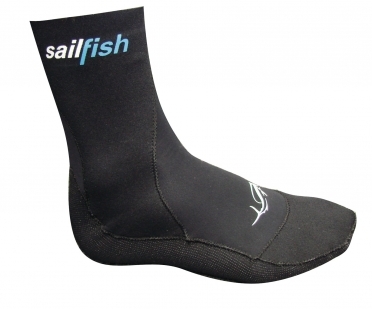 Warming Sailfish Neoprene socks with non-skid sole for low water temperatures. The Sailfish Neoprene short current max. black/grey is especially made for training. The 4,5 millimeter thick neoprene offers perfect buoyancy and improves your body position making the Current the perfect pull-buoy substitute. The Max has extra buoyancy on the upper legs. The Sailfish Neoprene short current medium black/blue is especially made for training. The 3 millimeter thick neoprene offers perfect buoyancy and improves your body position making the Current the perfect pull-buoy substitute. Material: 100% Nylon bonded to Neoprene. The new Sailfish Rocket sleeveless wetsuit women gives you maximum freedom without losing buoyancy. The way the materials are used makes this “Long John” the best sleeveless wetsuit for warmer waters en for those who want to have more freedom on the arms. The Rocket is based on the famous sailfish Attack. 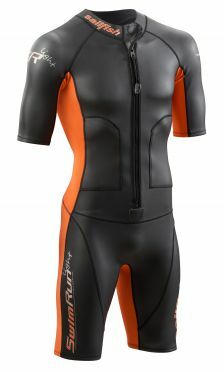 The new Sailfish Rocket sleeveless wetsuit men gives you maximum freedom without losing buoyancy. The way the materials are used makes this “Long John” the best sleeveless wetsuit for warmer waters en for those who want to have more freedom on the arms. The Rocket is based on the famous sailfish Attack. The Sailfish SwimRun light unisex is your optimal wetsuit for races in warm waters. The SwimRun Light neoprene suit is a highly flexible, light SwimRun wetsuit for competitions in warmer waters. 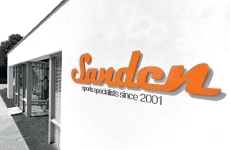 The 1.5 – 2 mm thin material is extremely light and flexible, so that freedom of movement is limitless. The combination of new breathable neoprene and smooth skin neoprene enables this wearing comfort. Beneath an adjustable collar with Velcro you find an extra-long zip including emergency whistle. In the two inside pockets and one back pocket with zipper you can carry food, route plan, and emergency equipment. 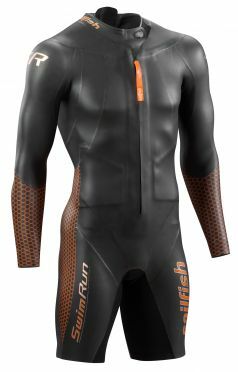 The Sailfish SwimRun pro unisex is your reliable second skin for SwimRun competitions in cold waters. Specifically tailored to the SwimRunner this neoprene suit offers comfortable wearing with high flexibility. The 5 mm thick neoprene material on the upper torso and thigh ensures high buoyancy. The hip panel gives additional stability and optimizes the water position while the armpit panel offers unlimited freedom of movement. So, there is nothing to stop strength-saving and efficient swimming. 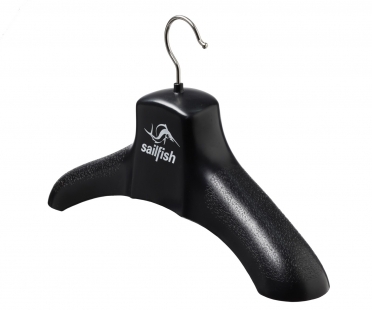 Special Sailfish Neoprene Glue for fast repairs of small holes and cuts. The all-new Sailfish G-Range fullsleeve wetsuit women has its strengths - especially regarding an unprecedented lightness, maximum flexibility and excellent gliding properties. That’s why the new G-Range is ideal for swimmers who prefer a natural water position. 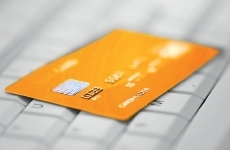 Featuring an ultra-thin surface coating. The high quality Nano Space Cell 2 Neoprene results in nearly no frictional water resistance. The all-new Sailfish G-Range fullsleeve wetsuit men has its strengths - especially regarding an unprecedented lightness, maximum flexibility and excellent gliding properties. That’s why the new G-Range is ideal for swimmers who prefer a natural water position. Featuring an ultra-thin surface coating. The high quality Nano Space Cell 2 Neoprene results in nearly no frictional water resistance. Sailfishes experience from 10 years of wetsuit development culminates in the Sailfish Ultimate IPS fullsleeve wetsuit women and sets the bar extremely high for everything that is yet to come. Thanks to maximum freedom of movement, extraordinary buoyancy and ideal underwater gliding properties you can count on our lates newcommer to achieve your new personal best in the water! The Ultimate IPS fits perfectly to your body thanks to its snugg fit, a low collar and our ergonomically designed panel composition in the groin, leg and hip area. The production with high-quality Nano Space Cell 2 Neoprene leaves nothing to be desired with regards to flexibility and gliding properties in water. The wafer-thin nano coating of the neoprene creates a surface that provides nearly no resistance in water.